Stand Up Pedal Board Review – How Great Are They? What Is This New Fangle Water Contraption?! Hobie has gone out and revolutionized the paddle board forever in my mind. 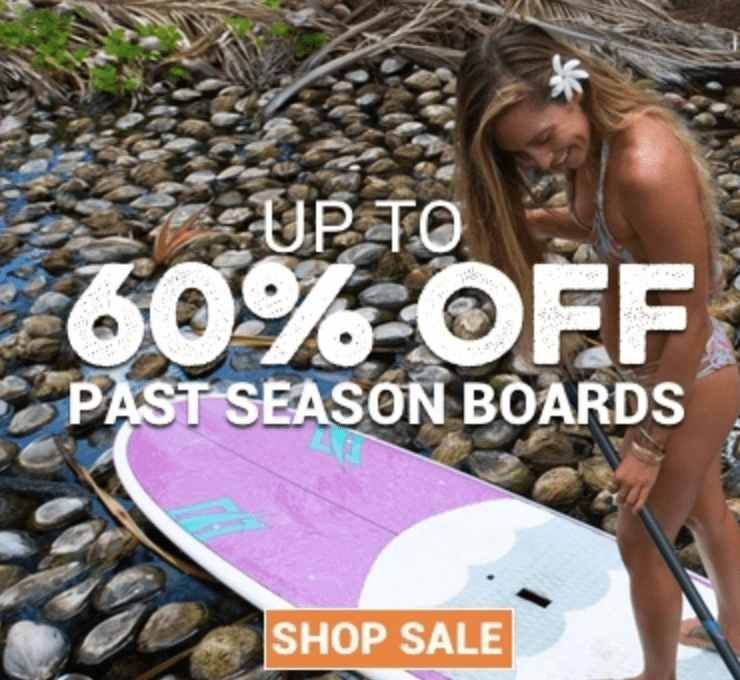 These new foot powered paddle boards are a beautiful thing and after you watch the video, you may get the bug as well! The Hobie Mirage Eclipse stand up pedal board is taking standup to a whole new level. This new board is extremely stable and can be fun for anyone from beginners to experienced paddle boarders. As you can see in the video, there is very minimal setup which makes it easy to take from your car to the water. The Hobie Mirage is the perfect board for someone to take their fitness from the gym and and apply it to the water instead. As displayed, the rudder controls on the handle bars are easy to use and steering is a snap in the Eclipse. The bonus they added was the kick-up rudder so you don’t have to worry about hitting ground and damaging your rudder blade. Rear tie-downs and added bungees means you can take a crate, cooler, or even a live-well for fishing with you. Another added bonus is the Eclipse can simply transform into a standard paddle board by locking the fin in place and removing the handlebars and drive system. This board is 10’6″ and Will Cost $2,495.00. It is rated for 225lbs. You can also find out more on our stand up pedal boards for sale page. Very Sturdy – more so than most. Easy To Use – like in the video, it only takes a few minutes to figure out. Simple To Set Up – connect the 3 pieces and your off! Great Workout – stair stepper on water! Untested – By this I mean that it is new, so how durable everything is will soon be seen. Waiting list! – These are popular, so there is a waiting list already! I am so buying one! You might be thinking, “duh Matt, you own this site, why wouldn’t you!” I would buy one whether I owned this site or not is my point. If you love the water and being on it as much as I do, then you will probably feel the same way. This is really going to take off more than it already has. We will eventually be offing them here on our site when we can work out a favorable dealer so I can give some kind of discount or bonus offer. 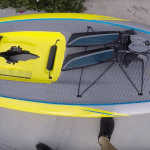 The Hobie Mirage is a great idea and twist on your everyday paddle board. It already has the appeal of a huge growing crowd and is just plain fun! the only downfall is really just the price. So lets find out. Does the price steer you away? Would you like to try one? Have you been on one? Are you afraid of water? 😉 Would love to hear your feedback. More to come soon….